Men’s Proline C-39 Series Thinsulate Boots | BUDK.com - Knives & Swords At The Lowest Prices! The Proline C-39 Series Thinsulate Boots are an excellent choice of footwear when you want your feet to stay nice and dry wherever your outdoor adventure leads. The upper is constructed of 900 denier nylon with a double padded collar and features the Mossy Oak Break Up pattern. The boot has a removable insole and features 200 grams of 3m Thinsulate insulation. 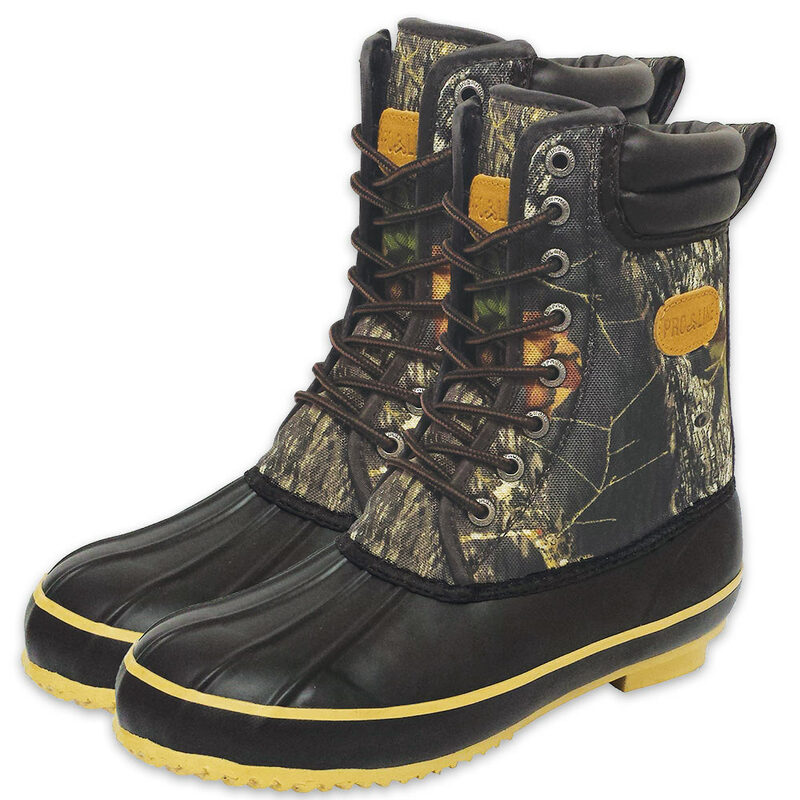 The waterproof rubber bottom has a fleece lining and the rubber sole is self-cleaning. The pull tab makes it easy to put on and take off. This boot comes in sizes 8, 9, 10, 11 and 12.